Some very fine boxes. I want them. Boxes have become a coveted part of my life. I seem to notice them like never before, wherever I go. I pay attention to their construction, how sturdy they are, and whether there is room to write on them. (I get the best boxes from Thrive Market, and I can’t adequately tell you how wonderful they are, thick, sturdy, full of useful packing). Because we’re selling, and moving, all our earthly goods need to be safely in a box until an undetermined time when they can be placed in the next home. Who knows when that will be? I have an aversion to paying for boxes to do my packing. It is silly when so many boxes are put in the trash, crushed and bundled together with strapping and hauled off to be re-used in some way, or maybe not used at all. So I beg and borrow boxes from friends who have businesses, (and from Thrive Market). I am grateful for my box friends. I get deliveries like this one. There is a box the right size for almost anything I want to pack. I have learned to keep my boxes down to a weight I can lift, since it may be necessary for me to lift them way more times than I would like. I like little boxes for heavy things like books, and large boxes for lighter things like pillows. The only boxes I might consider buying are ones for large, framed pictures and for dishes. Even then, I could make boxes for them out of other boxes. For all of these boxes, I have the feeling that labeling is going to be very important. For now, my boxed possessions are piling up in a small breezeway between my house and the rental house, but they will have to be moved when it’s time to photograph the house. They will have to go into a storage facility. I’m not looking forward to that. I’ve seen the program “Storage Wars” and since we’ve had a storage room mistakenly auctioned off in the past, I have some bad flashbacks about storage. Should we use storage locally? Should we rent a container from PODS or Pack Rat and have them move us? We have options that are not yet sorted out completely, and we are open to advice. When you label boxes, do you list contents or just which room it should be put in when you move? I label both ways. If it’s a zillion small things I write the location it came from. If it’s big stuff, or mixed in unusual ways, I write down the major items. We’ll see how aggravating it gets to find things when I unpack (???when???). It has been a cathartic process. We used a pod to house things while we were reorganizing our garage. We had it for several months in our driveway (fortunately we have a long one). It was nice to be able to organize things and have plenty of room to do it in. In our area, pod was less expensive than storage and we knew it was only going to be for a short time. I’ll be following your adventures here. We haven’t moved in 22 years and I’m not looking to do it any time soon. I’ll live vicariously through you 🙂 Loved the picture in yesterday’s post! It’s hard to find things to look forward to in this stage of the move. Fortunately I have a realtor who keeps me encouraged and motivated. Thanks for reading Janet. May you never have to move again. The plan sounds absolutely lovely, although I might choose somewhere closer than Hawaii. And yes the loss of our “stuff” was heart stopping for me too. Thanks for reading! How did they sell off your storage unit? I feel like that’s another story all on it’s own! I would go with a storage pod. That way you will always know where you things are and you don’t have to worry about them going missing from a storage unit. Management thought it belonged to a person who was in arrears, not knowing that they had sawed off the overlock and taken all their stuff out. I had mistakenly put our belongings in the empty room thinking it was the one assigned to me. We found out all our “stuff” had been auctioned off the day after it happened and couldn’t recover any of it. That’s the short story. Thanks for reading Morgan. Hope you’re enjoying the A to Z! You are wise to stay mostly with smaller boxes. As someone who owns a LOT of books, I can attest to the back-breaking challenge of picking up large heavy containers and moving them anywhere, even just a couple of feet. I’ve been wondering about a pod rather than a storage space. It just seems to make a lot of sense to not have to move everything multiple times, and I like the idea that with the pod in your yard for an extended time, you can organize it exactly as you wish. But I have no experience with any of that. I’ll be interested to hear what you decide. All the best with finding those boxes and packing up. I don’t envy you. We’ve now lived in this house for 17 years and not only have we lost the knack of shifting, we’ve become very settled and have accumulated so much stuff. Indeed, you could say there’s a few life time’s worth of stuff in our place. Moving is a good way to keep all that stuff under some sort of control. 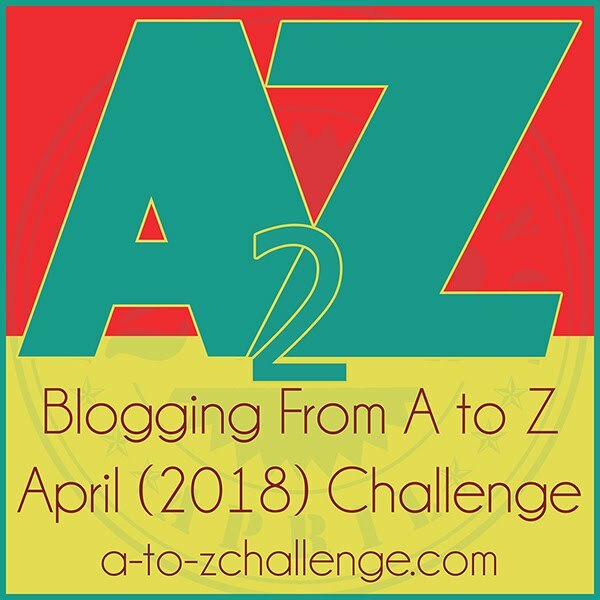 I’m also taking part in the A-Z Challenge. My theme is “Letters to Dead Artists” and also looks at travel and the search for meaning. Yes, this move is bringing out the truth that we are not “our stuff” because much of it is having to go away. 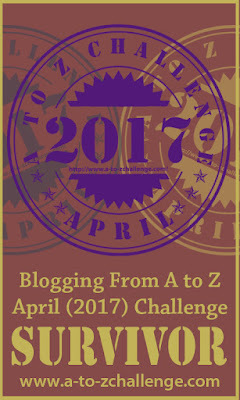 Hope you enjoy the A to Z. I will check out your posts. Shirley, that’s a hard lesson for me. While much of it doesn’t matter, there’s still a lot that feels like a part of me and parting with it would feel like ripping out a part of my soul. Clearly, I am not a declutterer’s dream. We moved recently and still have boxes everywhere. Its always work – moving.